The area this farm sits on is particularly rich in traces of the past — with two mounds here, and Wigber Low just across the road. 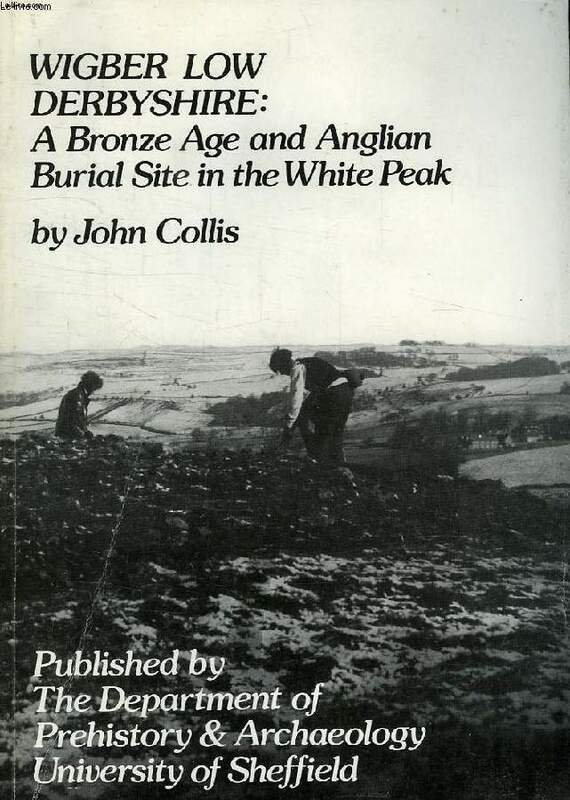 It’s a fascinating site, and unlike the mounds here (descriptions upcoming), was excavated in the early 70s and a monograph published/edited by John Collis. I got the story of how this happened — an amateur (and now accredited) archeologist and son of the farmer down the village took his metal detector up there and found some precious metals — the dagger perhaps? I can’t remember all of the story, I apologise I was too tired to blog this right away. He let local archeologists know of his finds, and that there was more to be found — did they come look and find some gold perhaps? How can I not remember? But I don’t. Still, the upshot is that a Derby paper got hold of it and printed a small story about gold found on Wigber Low, and the next weekend there were carloads of treasure hunters coming up from the city…thus this emergency excavation took place lead by the University of Sheffield to rescue it, and it was so rich it was continued for several seasons. It’s very technical this book, and represents the collective analysis of many different people looking at the evidence collected here — often in the pouring rain and high wind. It is highly descriptive — both in terms of methodological jargon and findings. I did very much love how much reflection was included — problems in the evidence, places where human error was introduced, things that could have been done better. How better to make use of very early computing and data systems. I feel for them, some things are easier now. It is clear this site had meaning to the people living in this area for a very long time — there are layers of ceremony and human activity. 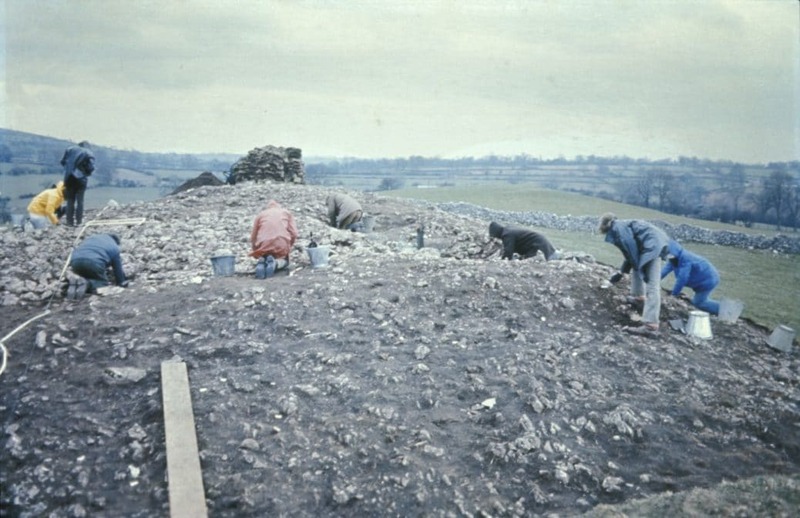 Found here was a flat-topped stone platform — the first place identified where the dead were left exposed in the Neolithic and early Bronze Age. There are a scattering of teeth and phalanges — and likely that larger bones were removed to be reburied (collections of such mingled bones of the ancestors have been found in barrows), though it was not discovered where they were interred. The cairn was made larger at some point, but they could not be sure when. Possibly the bronze age. The bones of at least 30 individuals were found here. It was used in the iron age and Roman period as well, possibly some folks lived up here, but just as likely it was just some poor dude sat on the hill watching sheep. I feel for him too. But most interesting, is that seven Anglo-Saxon burials were also found here, cut into the cairn. Probably a family group. They were partially excavated in the 19th century — like the ones here on the farm — with just a shaft sunk down, disturbing lots and dragging forth some treasure that now sits in the British Museum. These are, of course, the graves that yield the most information about the people within them. But still, it is so little…but they felt some connection to this mound created by much earlier peoples to desire burial here, and they were not alone in this as other Anglo Saxon burials have been found cut into neolithic cairns. This was also a site of medieval lead working, with numerous pits dug into the hill, and smelting happening on its top. Slag thus mingles with the other remains. I felt I didn’t quite know enough to glean much from the expert discussions, but it was interesting to see how many people contributed to elucidating what the excavations produced, as well as the main sections examined: human remains; environment and subsistence; pottery; stone objects; metal, bone and glass; coins; lead working. One last note, the earliest mention of the name Wigber Low is from a manuscript found in Belvoir Castle, dated about 1230 — it is named Wygebericlow. -ber perhaps relates to a barrow, low to hlaw or mound, and Wig from personal name Wicga.